With a friend, fill out each category by responding to the questions with answers that pertain to your own white boo(s), past or present. You will fill in 3 of the responses, and your friend will fill in the 4th on your behalf, mercilessly. 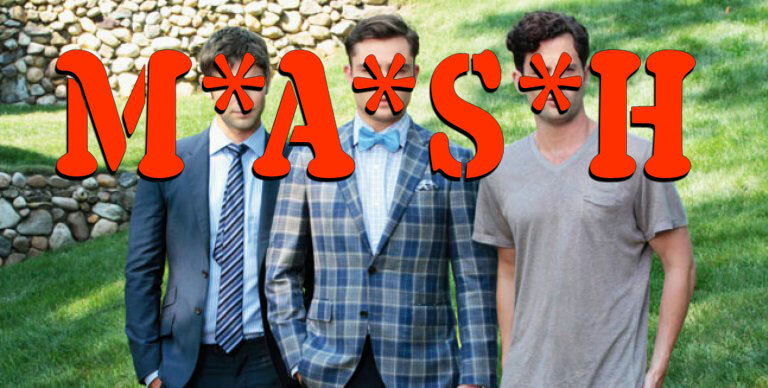 For the header category of MASH, you’ll supply a white boy name that starts with each letter. Once you’ve filled out the responses, you’ll close your eyes while your friend draws a spiral. She’ll draw the spiral until you say “stop,” and open your eyes. You’ll then count the number of lines that cross the diameter of the spiral, including the point in the middle. The number of lines is the number you’ll use to count off. Starting with the M in MASH and going through each response to each question, count off the responses, crossing out the response you land on when you get to your number. Repeat this process until you have one response left in a category, and circle it. Once you’ve got a single response for each category, you have a complete narrative of your relationship with a white boo. Need some help getting started? See some tips from the makers and examples of completed Lady Scumbag M*A*S*H games below! Janelle Grace and Zoe Yang are two formerly messy Virgos living in New York City.